Aspri Limni beach (i.e. white pond) is located 70km south west of Chania town and about 500m west of the Chryssoskalitissa Monastery. Many scattered rocks circle the beach, making it resemble a lake. 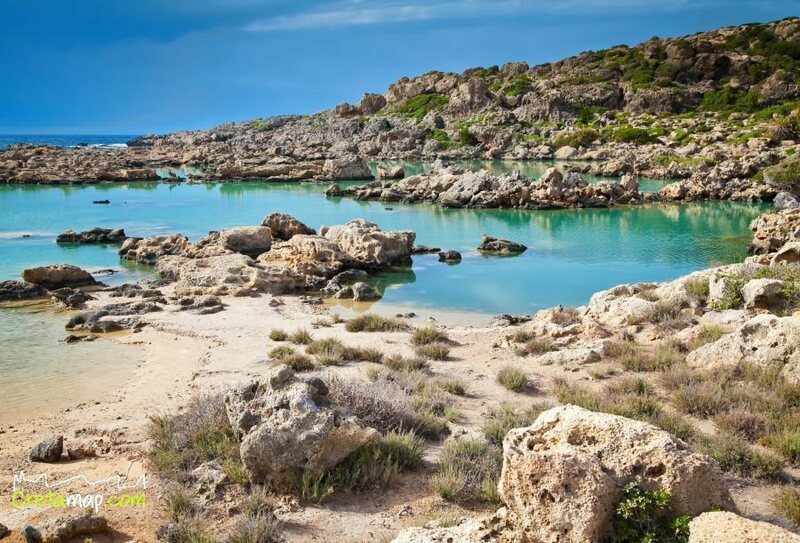 Aspri Limni is a protected area under the Natura 2000 Programme and hosts the Cretan palm tree, phoenix theofrasti. Due to its difficult accessibility through a dirt track and the small distance (5km) from Elafonissi, the beach remains pretty much unknown. 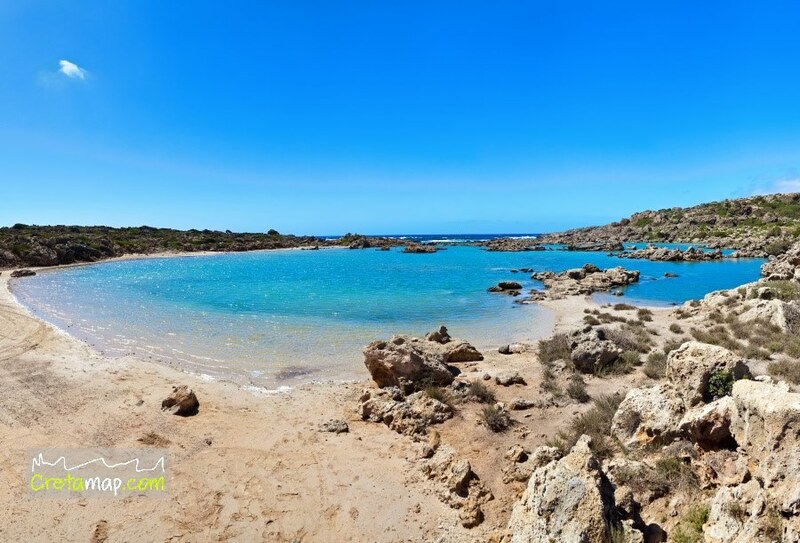 Aspri Limni beach is accessible by private and rented cars or motorbikes until the village of Chryssoskalitissa where you will find signs leading to the Cretan Date Palm habitat.